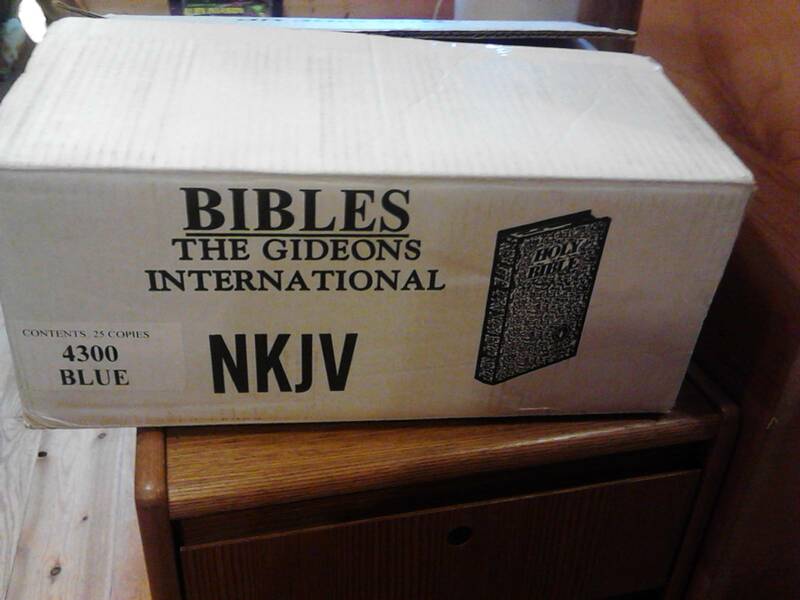 07.30.13 The Gideon Bibles are here!!! When we were getting the cabins ready to open for the season I noticed that a couple had Gideon Bibles in the bedroom drawers. I found that most did not have any. Our family has always helped support the work of the Gideons through contributions at church when they would come to speak to us or as memorial donations when someone passed away. Having heard story after story of lives being changed and souls being saved through individuals reading God’s Holy Word during alone time or times of desperation in a hotel or wherever they may find a Bible I believe strongly in the importance of supporting the Gideon’s work. My step father Vivian Traylor use to take my sons with him to truck stops and other places to leave Bibles and I was so humbled by his willingness to share the Word of God with others in this manner. I asked the owners of Northern Lights Resort if it was okay for me to contact the Gideons to get additional Bibles and after some discussion they were quite willing to let me do this. 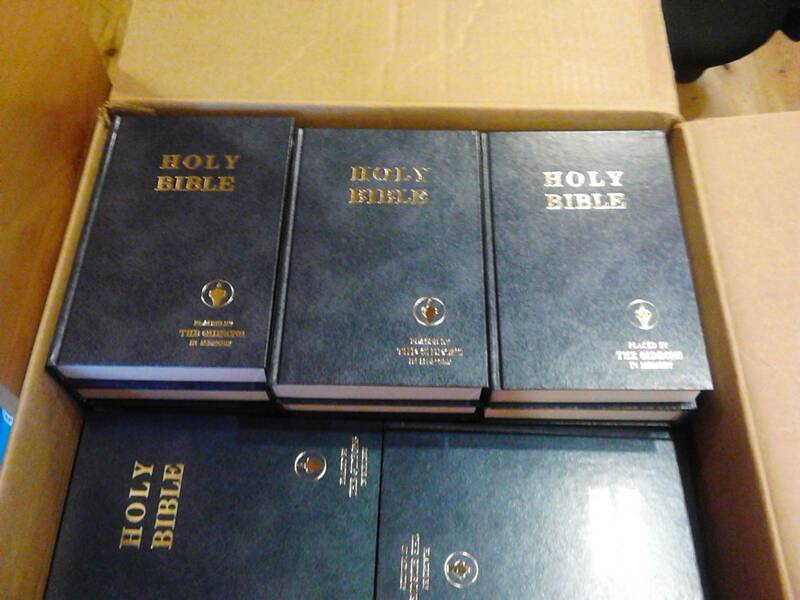 It’s taken some time for the Bibles to arrive but they are now here and when we clean the cabins on Saturday I’ll be putting the new Bibles in the bedroom drawers in each cabin for God to use in reaching our guests. The owners were not familiar with the Gideons and I realize that others may not be as well so I gathered some information on their history, who they are and what they do. They are not fanatical evangelists who scare people more than reach them. They are just regular folks like you and I who love the Lord and want to participate in spreading His Word through distributing these Bibles. Gideon International is an evangelical Christian organization founded in 1899. Their primary activity is distributing copies of the Bible free of charge. The Bibles are purchased from money given by local churches of all denominations and other contributions. This Bible distribution is a global enterprise taking place in over 195 countries and in at least 84 languages, with the organization being particularly known for the copies found in hotel and motel rooms. The organization takes it name from the biblical figure Gideon depicted in Judges 6. More than 1.7 billion Bibles have been distributed since 1908. In addition to their well-known hotel-room Bibles, the Gideons also distribute Bibles to members of the military of various countries, to hospitals, nursing homes, prisons and students. The Gideons draw their volunteer members from many Christian denominations. Membership is limited to current or retired businessmen and professional men age 21 and older who are members in good standing of an evangelical or Protestant church, congregation or assembly. 07.28.13 Satellite dish upgrade, frost possible tonight, new neighbors and blueberries! 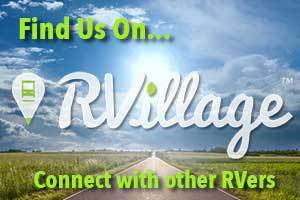 RV life brings with it some issues that have to be researched by each RVer based on their lifestyle and their desires and needs. When you live in a sticks and bricks house you buy a TV and get the local cable guy to hook you up and it works, end of story. If you live out in the country maybe you have to get satellite because cable isn’t available so they install a satellite dish and it works, end of story. In a moving home there are more things to take into consideration so the decision isn’t as cut and dry like it is in a sticks and bricks home. 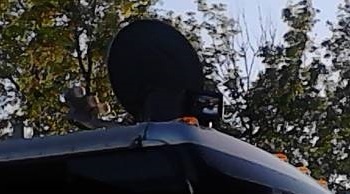 When we bought our RV it came with a stationary satellite dish even though the dealership told us we had in-motion. 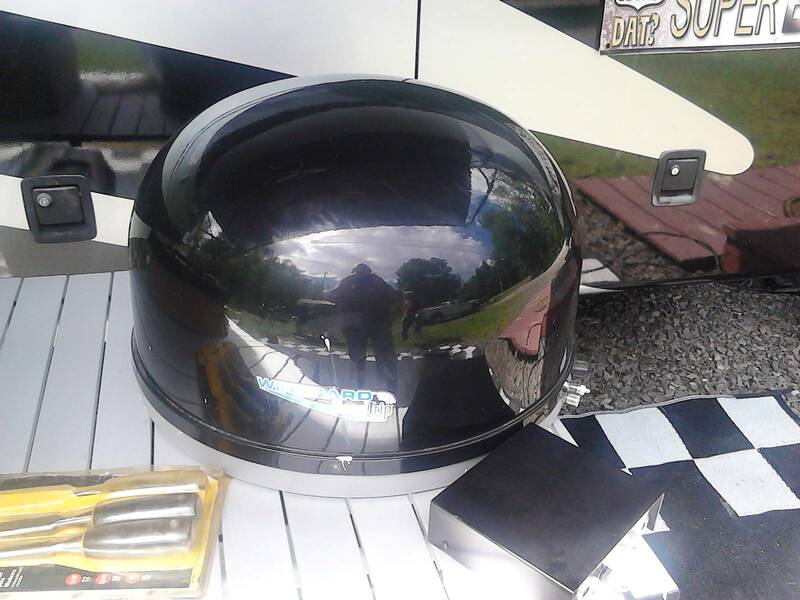 Because we were told that in-motion was the way to go Roy upgraded to a Winegard Road King Mission in-motion black dome satellite dish. The reason they said in-motion was better was that you could watch TV going down the road. Before traveling that sounded great, but after doing some traveling we found that watching TV going down the road had a very low priority and trees on the side of the interstate would interfere with it so we didn’t get good reception while traveling. We kept losing service on a regular basis when we were sitting in our driveway we always thought that it was the trees that would knock us out from having service so we cut a lot of limbs off the trees and then we discovered that a little bit of rain would knock it out also. We thought we just needed to get to a clear place where we wouldn’t have these problems but once we got here in Minnesota and had clear vision to the skies the reception still went away every time it rained. Other problems with the old satellite was that it tracked only one satellite at a time and would toggle between satellites when you’d change stations. We also have a DVR and the satellite couldn’t record programs that were coming from different satellites at the same time. When Roy found out that he couldn’t record Deadliest Catch at the same time he wanted to record Pawn Stars we know we had to look for a different way of viewing TV! Roy did some research and found the Winegard SK-1000 Traveler. It’s now our new satellite dish and it tracks all three satellites at the same time. It is more like a home satellite dish you’d have on a house. He found it on eBay at a good price and bought it. Since he installed it we have had several rainy days and we’ve not lost reception once!!!!!!!! It’s subject to lose satellite during severe weather just like you would at home, it won’t be affected by the light rains we typically have. We can still watch TV on the road if we need to by watching a show previously recorded by the DVR or just pop in a movie. The old one is now listed on eBay at a price close to what he paid for the new one. Now we have the best available satellite dish on the market and Roy can tape things on different satellites to his heart’s content! This is the new dish. The three knobby looking things right behind the dish are the LNBs, one points to each satellite. I forgot to take a picture when it was down on the ground so this is the best I could get now. For someone else the in-motion might be just what they need but for us it was trial and error until we figured out what worked best for our needs. I hope this will help some newbie RVers who are facing the same decision. Roy would be glad to share even more knowledge about this if anyone has the need. Give him a holler at roy@rchauvin.com! The resort hired a new couple to work with us for the months of August and September. They will be our next door neighbors and we are really glad to get the additional help! Their names are Glen and Hazel and I’m sure you’ll be hearing more about them in coming weeks! Just got a weather bulletin to expect FROST tonight between 2 am and 7 am. The lows over night will be in the 30s! Yes it’s July 28th and we’re having frost! Roy and I went wild blueberry picking today down the road from here. 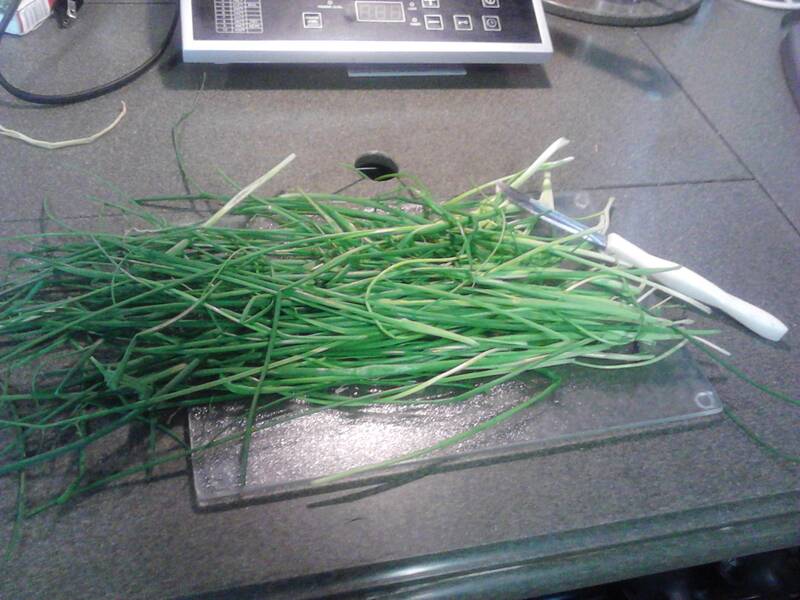 We found that they grow around rocky places and were able to pick a cup full which is a lot considering how small the wild ones are. We’ll cook them down in some sugar and eat them over our vanilla ice cream, yummy yum! 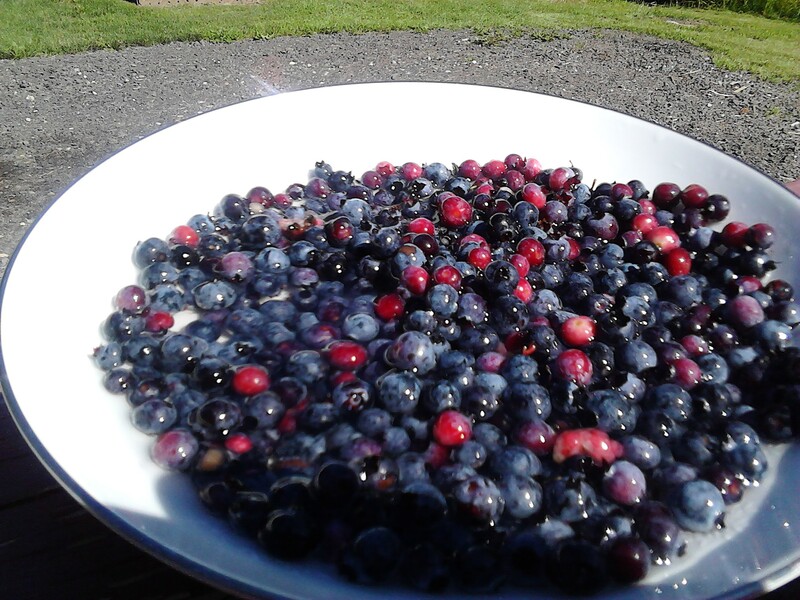 The next community blueberry pancake is next Sunday – can’t wait for that delicious meal! 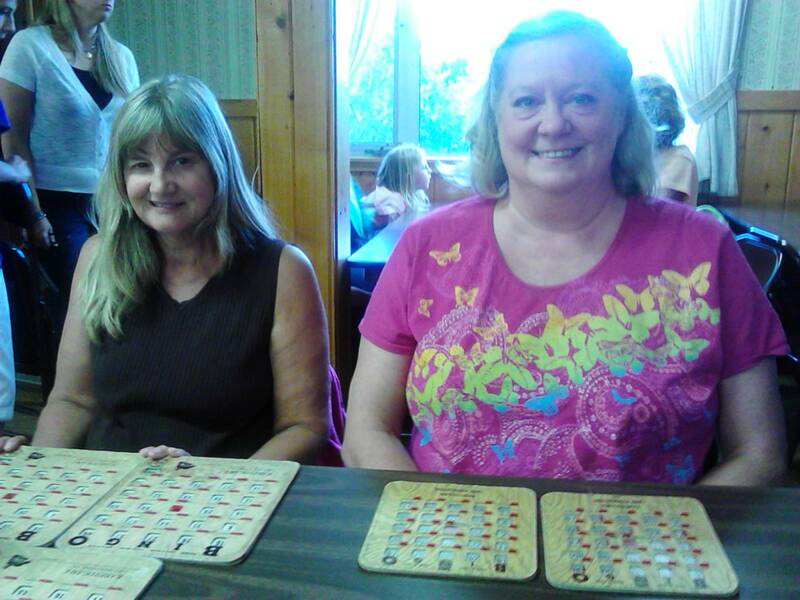 07.26.13 Brrrrrrrrrrrr, Bingo and VBS! 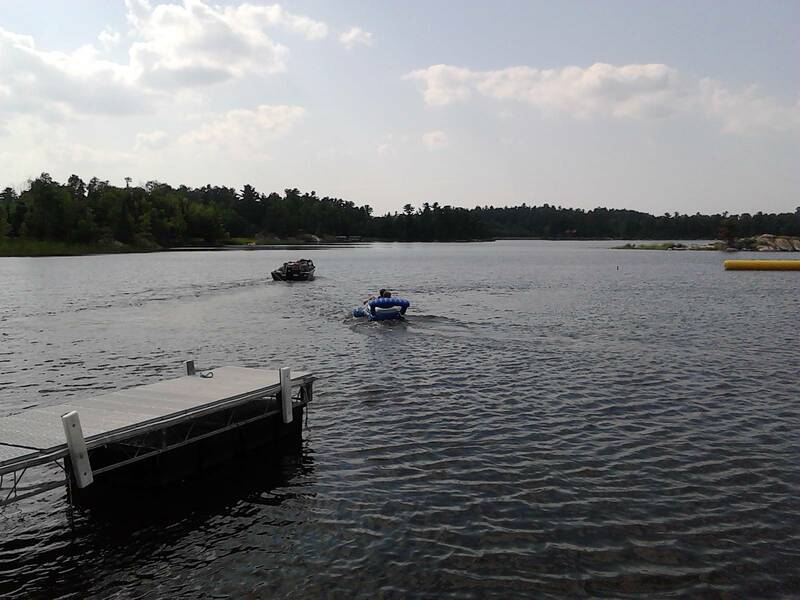 It is Friday, July 26th and the temperature here in Kabetogama, Minnesota at Noon is 54 degrees and windy. When my laptop starts up it still shows me the current temperature in Hammond, Louisiana which was 90 degrees about an hour ago. While it’s way too cold up here right now, I am glad we’re not in the 90 degree weather for sure. I dressed in shorts and a short sleeve t shirt this morning and when I walked outside I had to turn around, come back in and put on a coat and long thick pants. How crazy is this!!! I feel like I’ve said that sentence a dozen times since coming up here and experiencing living in the North! Even though we are not traveling as much as we will be in the future we are really experiencing a different way of life up here. I planned to go wild blueberry picking this afternoon but I’m not too sure about doing that now. 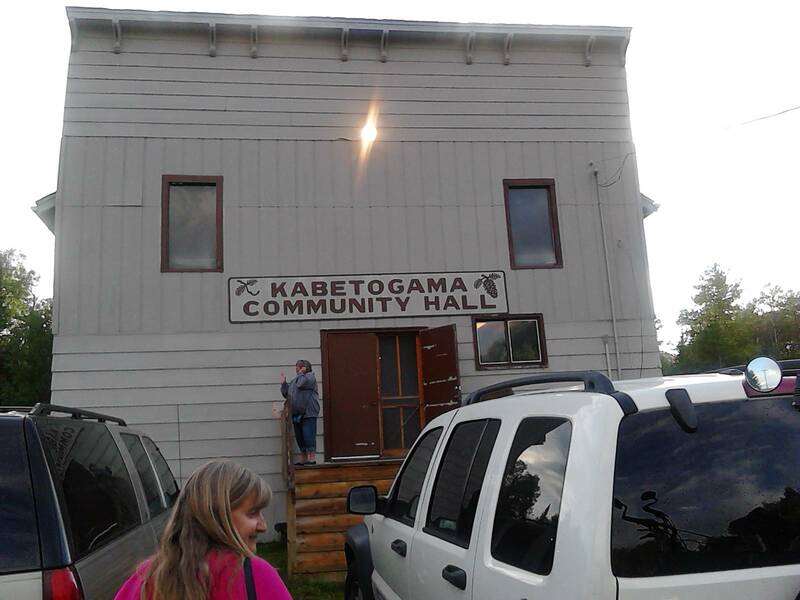 We ventured out into the big night life of Kabetogama last evening and went to the local Bingo game at the community center. There were over 100 people there including children down to the age of about 6. Seems like it’s the family night out thing to do. Roy and I took our co-worker Beth with us on this adventure. It started at 8 and was over around 9:45. It cost us $10 for four cards and we didn’t win one thing. I’m not a gambler and now I know I’m not if it’s this easy to lose your money. 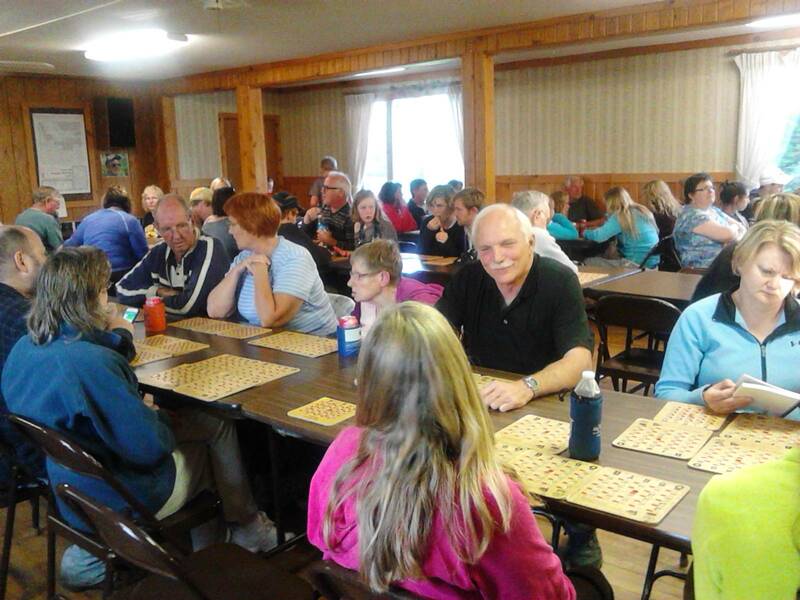 I’ve never been to a public bingo game and it was quite interesting to see all the locals in one place. They are all mostly from Norwegian or Scandinavian ancestry which means a lot of real blonde boys, girls, men and women in one place. A couple from the Methodist church we’re attending ran the Bingo so I don’t know if this is something the church sponsors or if this couple just does this. Well that’s enough about our exciting Thursday night out. Roy with some of the early comers to the game! 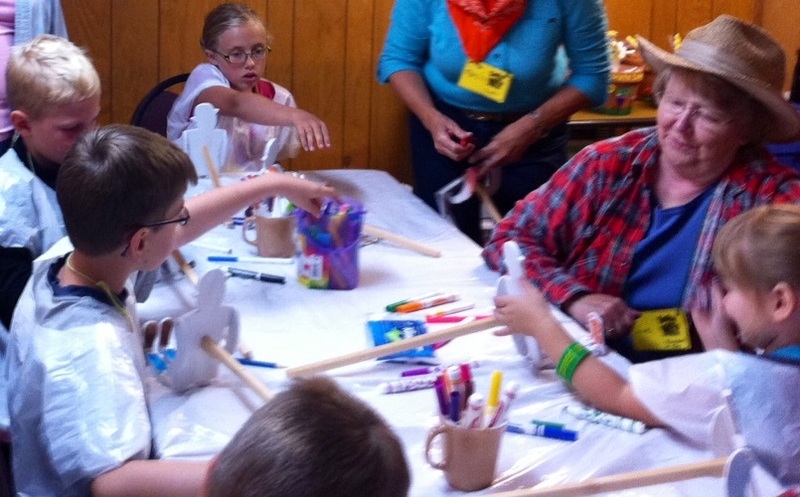 The last day of Vacation Bible School at Kabetogama United Methodist Church was also today. 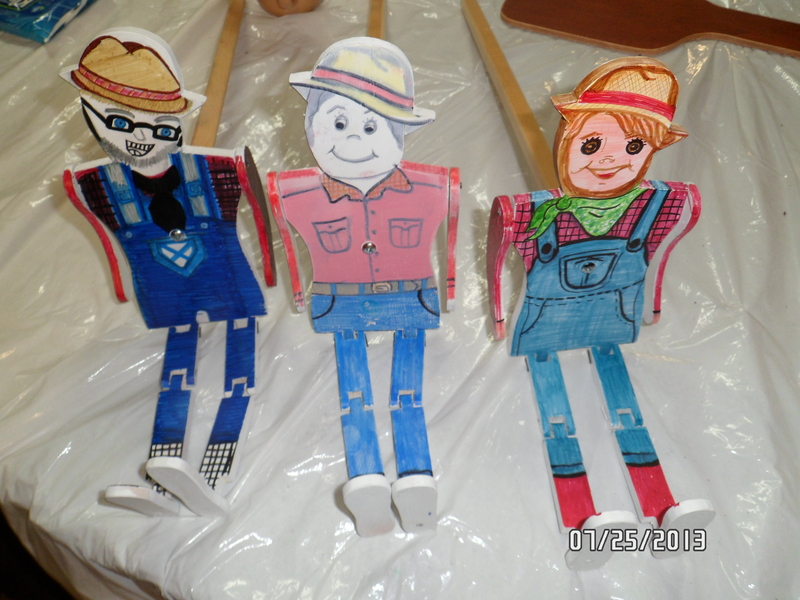 The children painted with colored markers these adorable wooden puppets that one of the church members, Mr. Eddie, made and primed for the children. He made a board that you slip under your leg and rest the puppet on. A stick comes out the back of the puppet and all of its legs, arms and feet are movable so when you hold the stick up and the puppet stands on the board you can make it dance by bouncing the board. The children all decorated theirs like farmers in keeping with the Hay Day theme and were able to take this craft home to keep, play with and enjoy. Marcia and Allyssa made three adorable examples to give the children some ideas, and I was truly amazed at how well the children all did with their creations. The group pictures is of all the children, some of the workers surrounding Mr. Eddie who made the puppets. 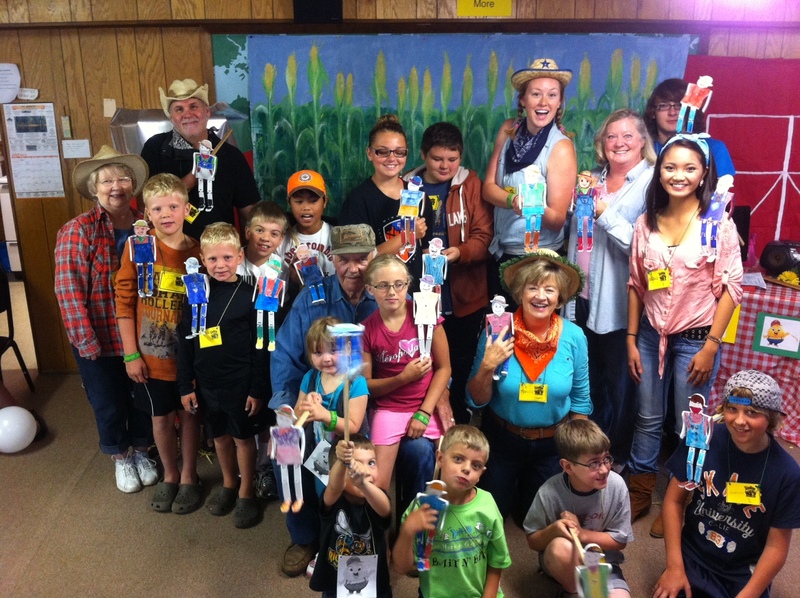 Group picture showing everyone with their wooden puppet. That’s Mr. Eddie in the center of all of us. The three examples. Aren’t they precious! Marcia and Allyssa did a fantastic job with these! One of their outdoor activities was the famous “minnow races” that I thought weren’t real, but yet I saw them today. They keep a bunch of minnows in a small ice chest with water. The minnow racing box is a rectangular wooden box with 5 channels where the fish swim. They put in a metal wall to hold back the minnows until the race starts. Each child scoops up a minnow and puts it into one of the five channels. Once that is done they lift the metal wall and off go the minnows. Some need a little help with a flick of the water above them and the kids all seemed to be quite experienced at this. Maybe I’ve lived a sheltered life and they do these in the South as well as up here but I’ve never heard of them before, yet it was a lot of fun to watch and the children really loved it. 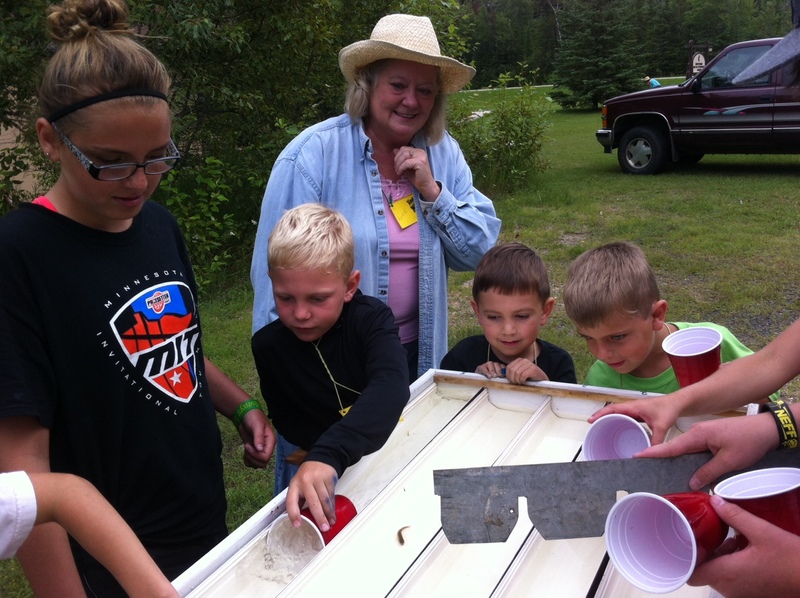 Minnow Race – with a little help! They also played one of the games our youth use to play at “What It Is” at LSU each summer and our family played at family gatherings throughout the years. We take 2 sheets or blankets and four people take one of each corner of each blanket. 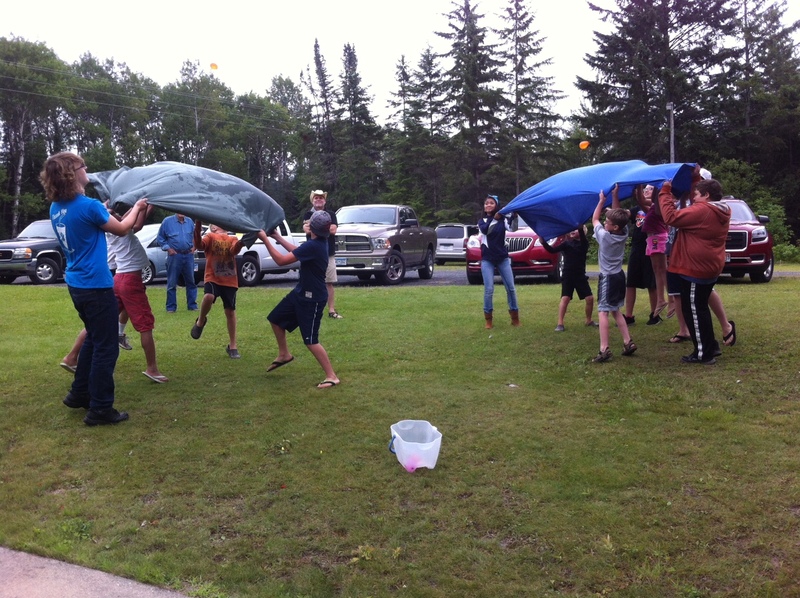 You put a filled water balloon in one of the sheets and those four people lift the sheet up so that the balloon flies over to the other people’s sheet and they try to catch it. It’s a lot of fun to see how far you can go back and forth with it before the balloon hits someone or the ground and bursts. My family will recognize this one as they’ve all become pretty good at it over the years! I miss you family folks! We’ll be back around Thanksgiving so hopefully it won’t be too cold and we can fling some balloons together then!! Cold wouldn’t stop these Northerners though! I really enjoyed working with the children and the other VBS volunteers sharing the love of Jesus with these little ones. No matter how small a group, if one little child comes to know the Lord or if the seed is planted it is so worth it. 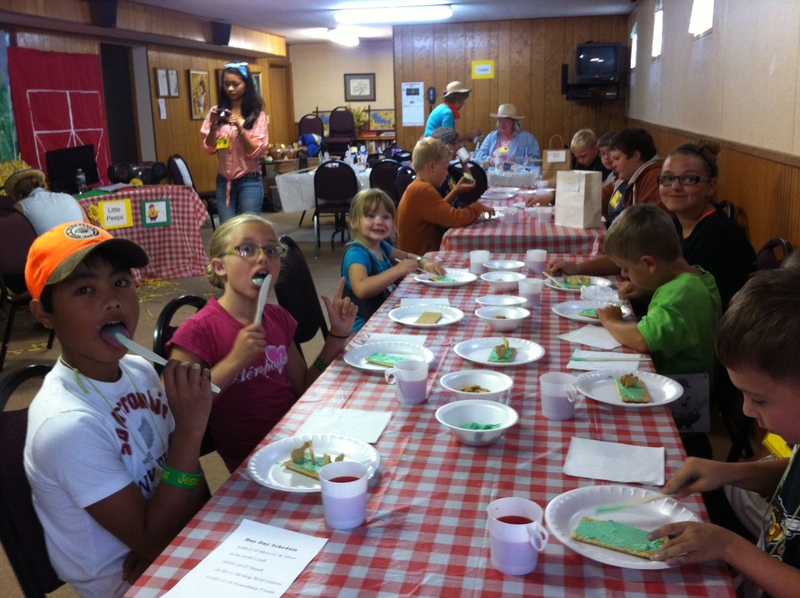 Snack time – they put green colored icing on top of a graham cracker and positioned some animal crackers around the green grass to create a farm yard! Pastor Roger and Allyssa Carlos, Marcia Ryan’s granddaughter who helped her with the crafts! Beautiful girl, inside and out! Roy just barbequed some thick pork chops and sliced potatoes for our dinner (delicious!!!) and we are getting rested up this cold, windy Friday afternoon preparing for our grueling Saturday workday. 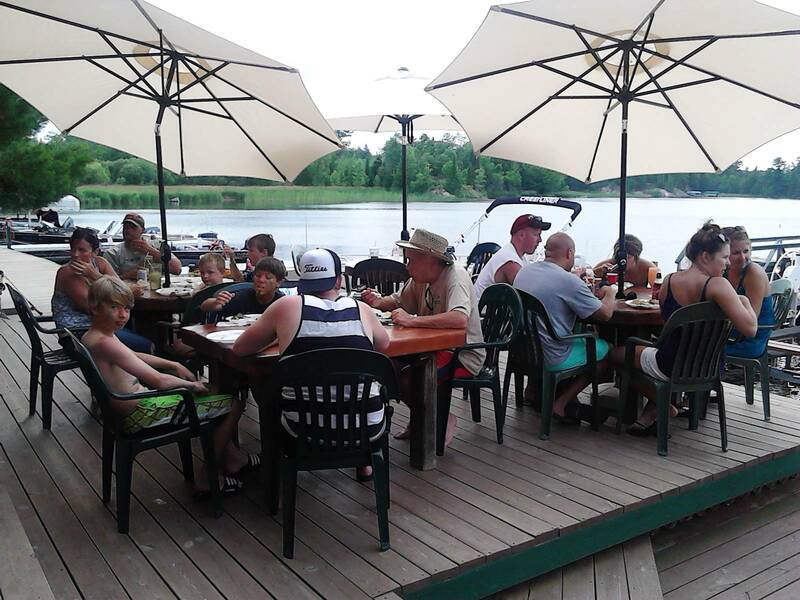 Only 5 more of those Saturdays left and then we start in September closing down the resort for the winter. I’ve always liked countdowns and this one especially! 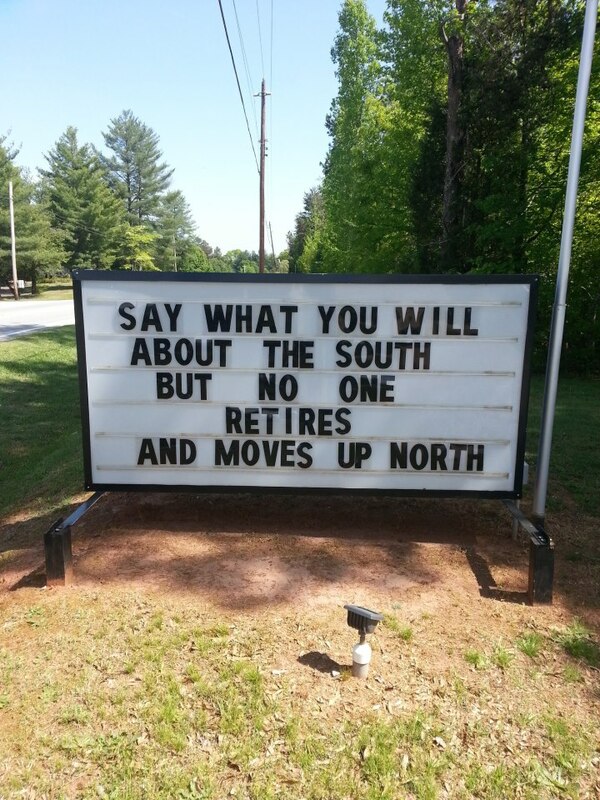 Ya’ll come back now ya’ hear! 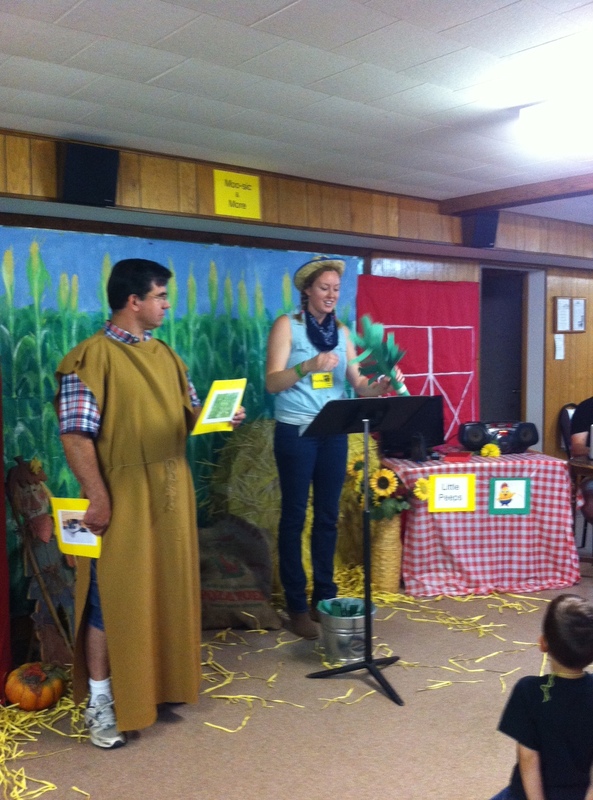 Three days this week Kabetogama United Methodist Church held its Vacation Bible School. 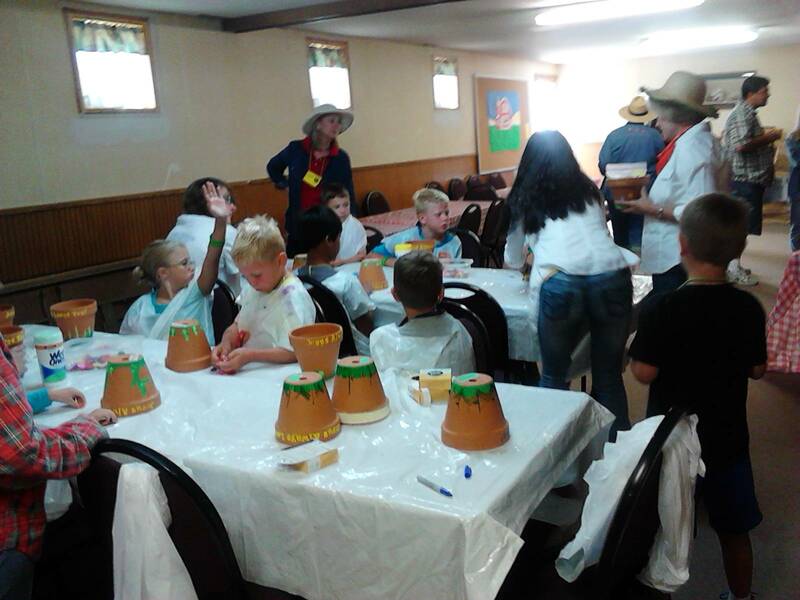 Two of those days I was blessed to be able to help with the crafts part of their Hay Day – Growing in Friendship with Jesus VBS. 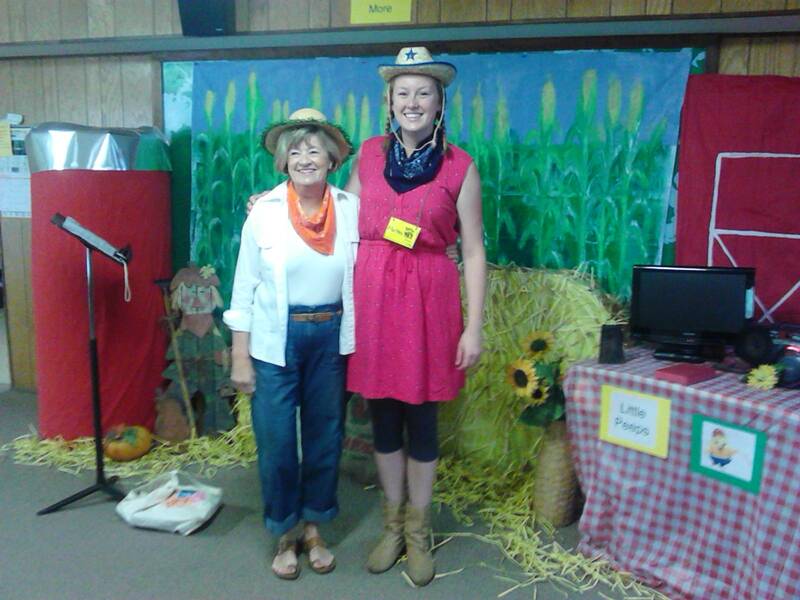 They transformed their fellowship hall into a farm themed event with spaces for our crafts, for snacks and for moosic (music) and more. Outside was used for Hog Wild time (fun outdoors games) which included minnow races. I thought minnow races were something that didn’t really exist but I actually saw them and the kids have so much fun with them. Pictures will come in the next blog from that one! The church foyer was transformed into a dark specially decorated place for the daily Bible story. Marnie, Pastor Roger’s wife, taught the lesson. She has a very calming, soft demeanor and the children really listened and participated well. Mattea who lead the music (which is always a fun hit at VBS) works at Sandy Point resort here and was a music major at Bemidji State University here in Minnesota. She also plays the piano on Sundays for Worship Service. 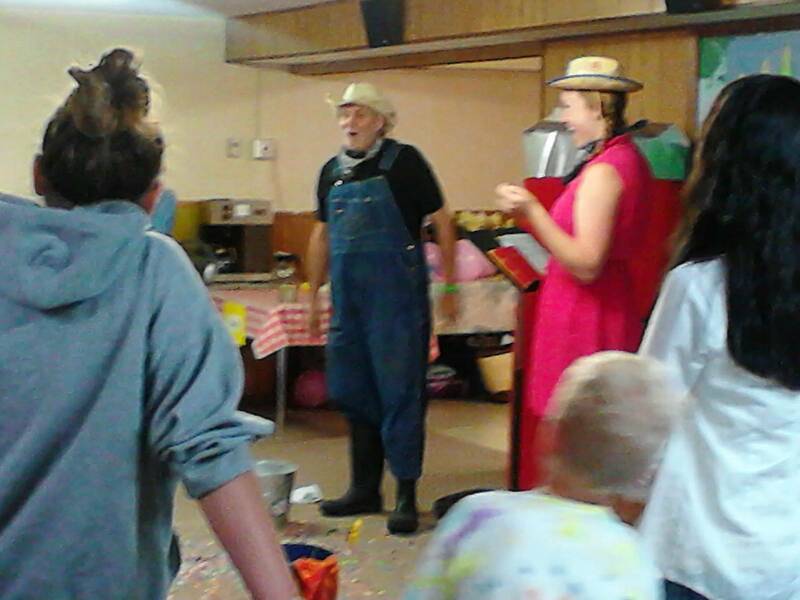 Pastor Roger was Sam Sunflower in one of the skits he did with Mattea. He recently had some stints put in and an angioplasty done and is just now recovering. I was surprised to see him there so soon after all that happened but he was and he made the children so happy with his Sam Sunflower skit. Marcia , her granddaughter Allyssa and I did the crafts. 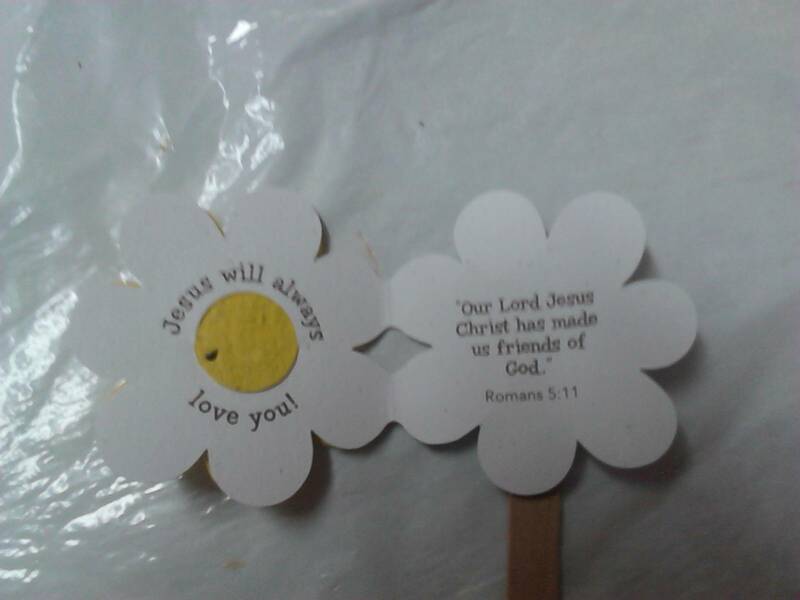 The Monday and Tuesday craft was creating a present for the children to give someone else to let that person know that Jesus loves them. 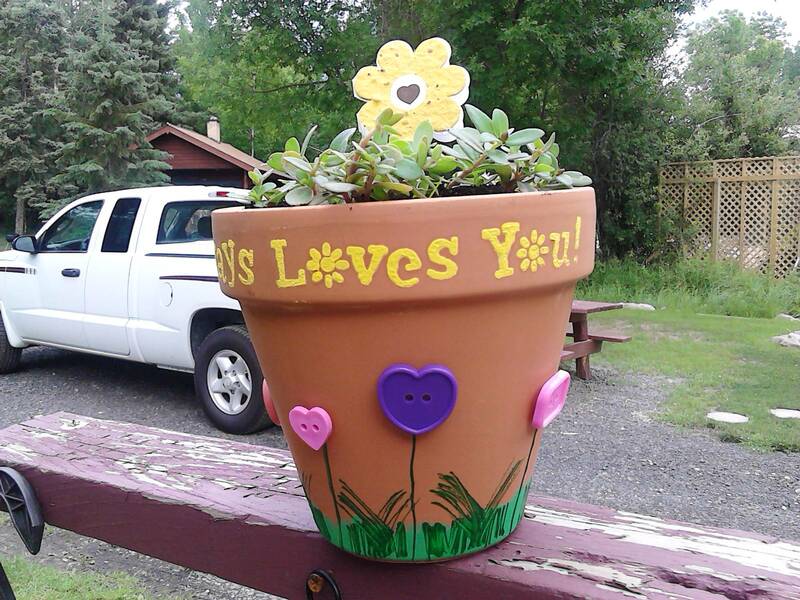 They took 6″ clay pots and stenciled around the rim “Jesus Always Loves You” with flowers for the Os. Then they painted grass and flower stems in green on the lower portion and attached different colored buttons as the flowers on top of the painted flower stems. They filled up a baggie with dirt and put it inside the pot and finished it off with a yellow paper flower that has wildflower seeds imbedded in it. When the flower is put in the dirt and watered it will grow wildflowers. The children chose who they will give theirs to and some may go to the local nursing home. Close up of the decorated pot with the yellow flower (with imbedded seeds in the yellow paper) before I planted the seeds. I made one myself and it’s now sitting on our picnic table outside! 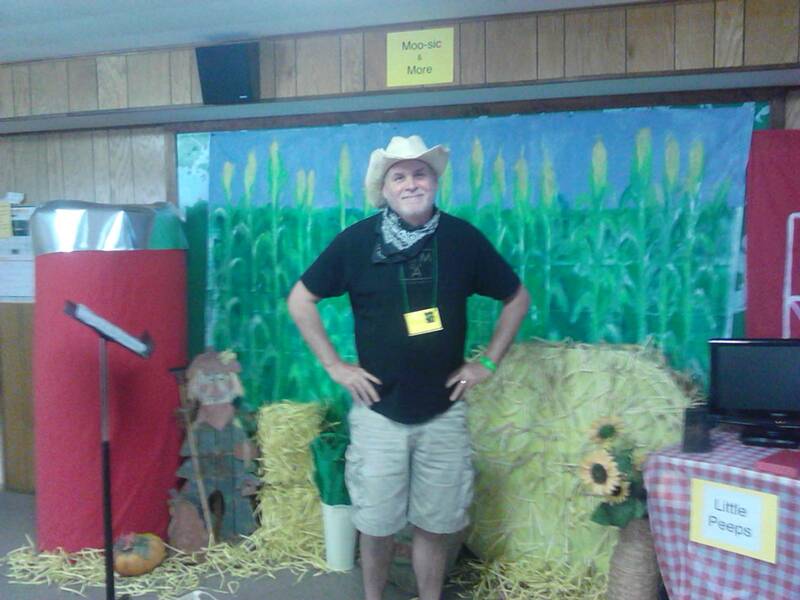 I’ll share with ya’ll Thursday’s VBS events as soon as I get the pictures together. I forgot my camera at home today so others were kind enough to take pictures and will send them to me. Ya’ll come back now, ya’ hear! 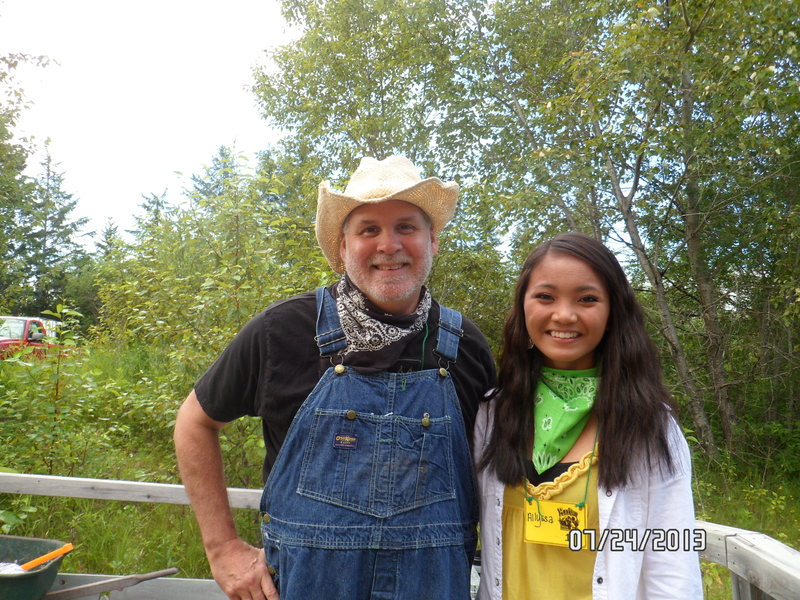 07.24.13 Roy ~~ the fish cleaner and BBQ chef! Roy has turned into a fish cleaning fool! Let me tell you!! I on the other hand am proud that I’ve picked up a couple of live fish and moved them. Hey at least I was willing to touch them. Both Beth and Debbie know how to clean fish and I’ve heard quite a few compliments on Beth’s fish cleaning skills. I caught Debbie one day in the very act of cleaning a fish and here she is! On Monday one of the children of a resort guest caught a very large Northern Pike. 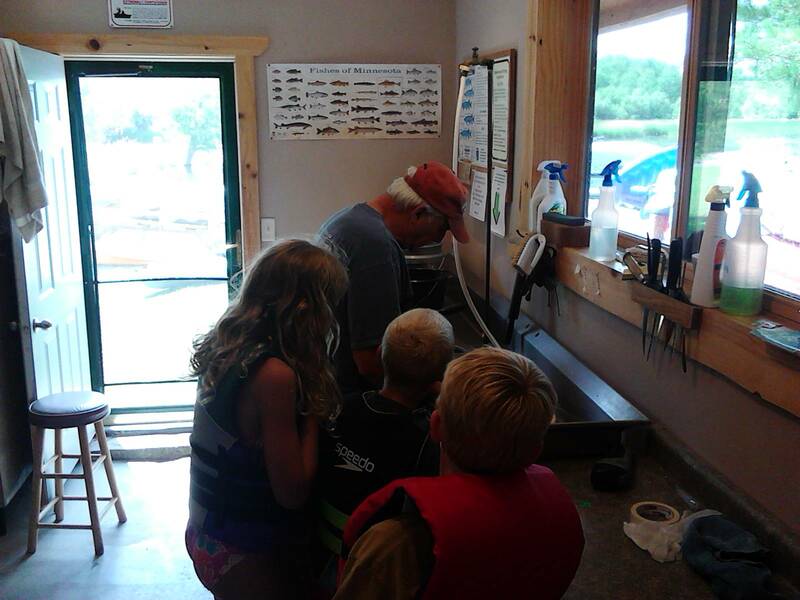 He and a bunch of the children followed him into the fish cleaning room and Roy had to shove his way through the crowd to get to the fish cleaning station. They all watched every step of the cleaning and the little boy was so proud of his catch. 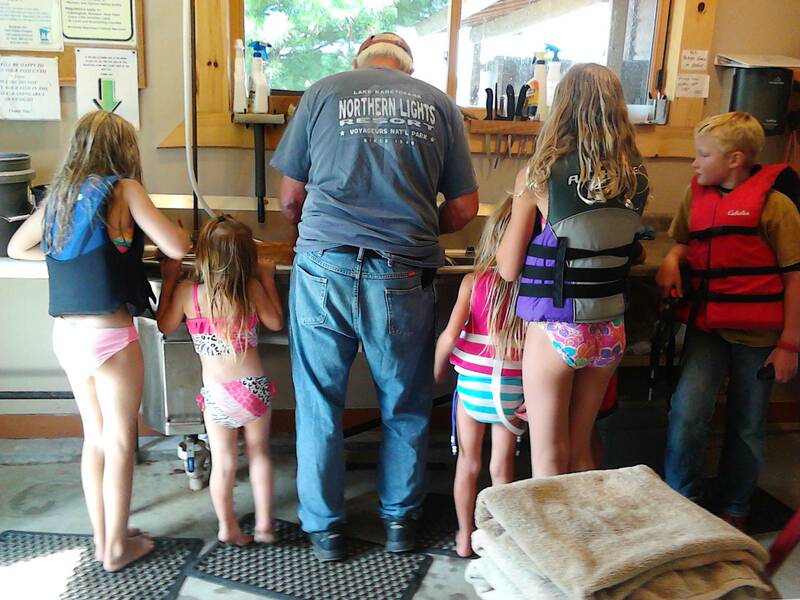 Here’s some pictures of the kids watching Roy clean the big Northern. The little boy on the right in most of the pictures with the red life vest and blonde hair caught the fish. These kids are great about wearing their life vests when they are playing and fishing on the docks or riding any of the water toys. I was surprised by that but I guess when they’ve grown up fishing it just comes second nature to them. Roy’s become the unofficial official BBQ chef at our Saturday evening meet and greets for the new guests. 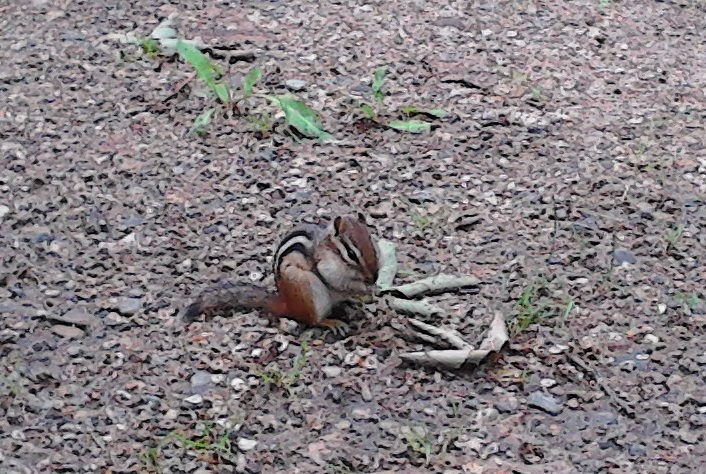 They eat BRATS a lot up here which is not pronounced brat like a bratty child but like a bra with a t on the end. Anyway it is a large sausage thing like a blown up hot dog. They serve it on a bun sometimes topped with sauerkraut. When Roy cooks those he also cooks regular hot dogs for those who may not want a brat. 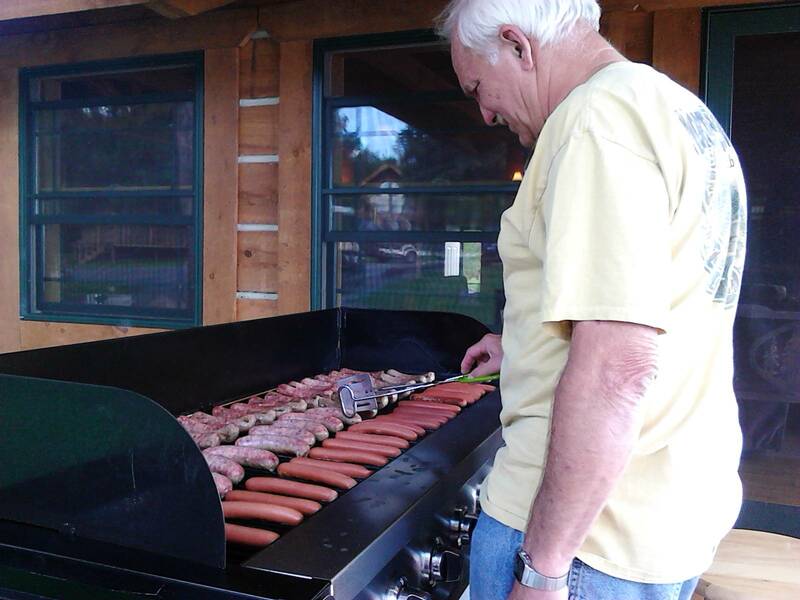 This past Saturday he had them all neatly lined up on the grill with the Brats up on the North side of the grill and the Hot Dogs on the Southern side of the grill. There are a couple of pictures below of him grilling. Back in Louisiana we cooked sauerkraut with small link sausages in them with cornbread and this seems to be a different version of that with the sauerkraut being piled on top of the brat instead of the sausage being cooked in the sauerkraut. Roy’s up on Dora’s roof changing out our satellite for a better one and I helped in Vacation Bible School this morning at the little church we’ve been attending. I plan to write about those two adventures in the next two blogs. 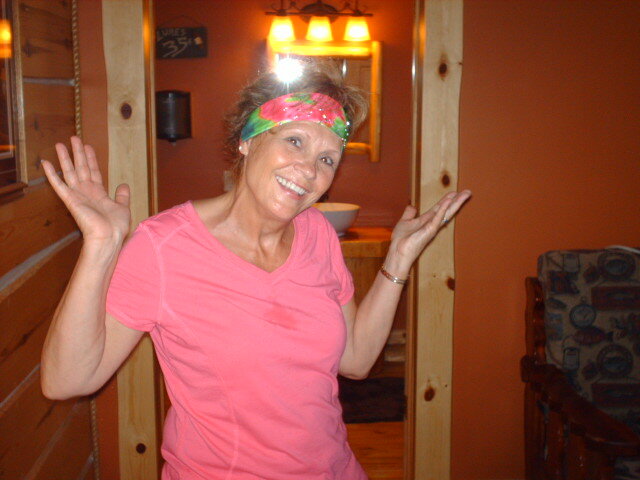 Ya’ll have a great evening and ya’ll come back now, ya’ hear!! 07.18.13 May Flies, more riding toys, herbs from the garden and my poor, poor phone! I’ve mentioned the flies and mosquitos in previous posts but today I saw something that needed to be captured in a picture so ya’ll could see how bad it can get up here. 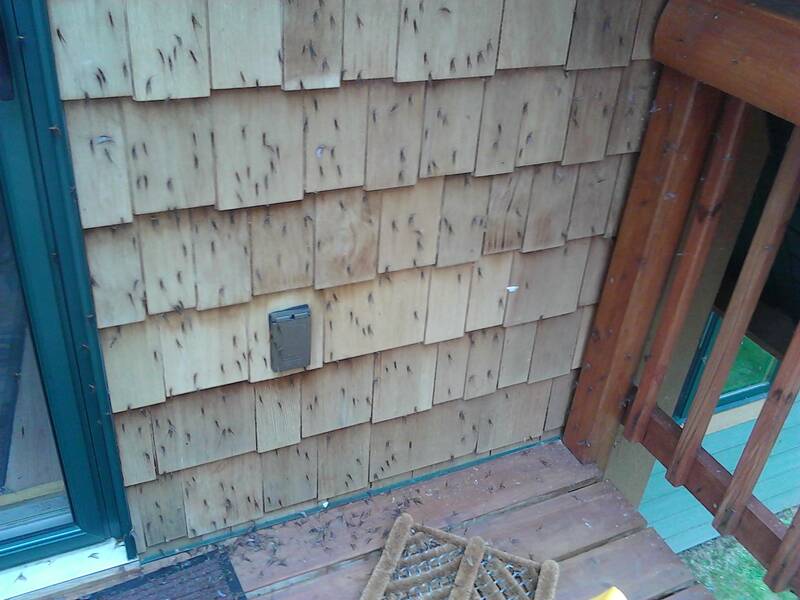 This is the wall on the front of one of our cabins and those lovely little critters are MAY FLIES. A lot of those on this wall are dead but some are alive and just hang around on the wall until someone comes by. We’ve purchased all sorts of bug spray and Roy finally found that a special Avon spray made with a skin so soft base works best. He ordered 6 cans and when we sit outside he has a fan blowing on him to keep them away! It’s not always bad but when it’s bad it’s really bad. I must say that all walls do not look like this. This is an extreme case. 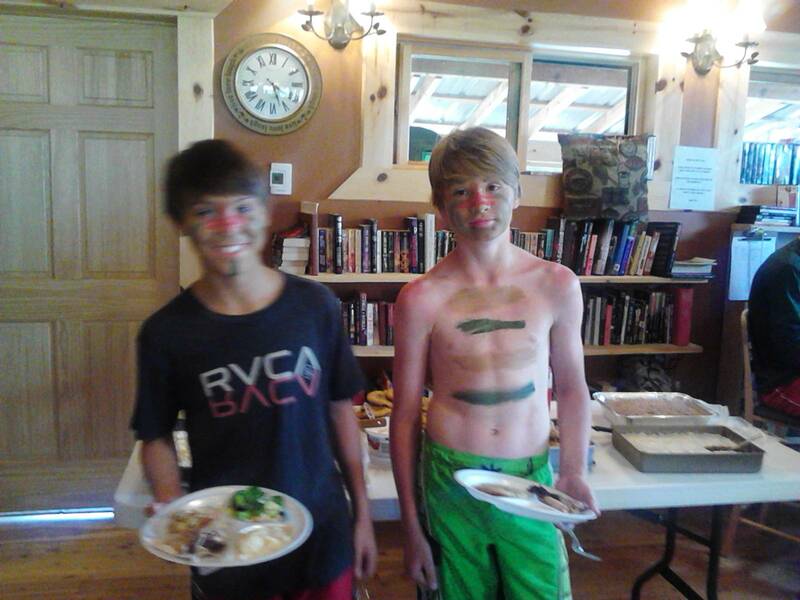 Pat and Tom Ossell’s 12 year old grandson Jay is here this week and I’ve enjoyed getting to know him. 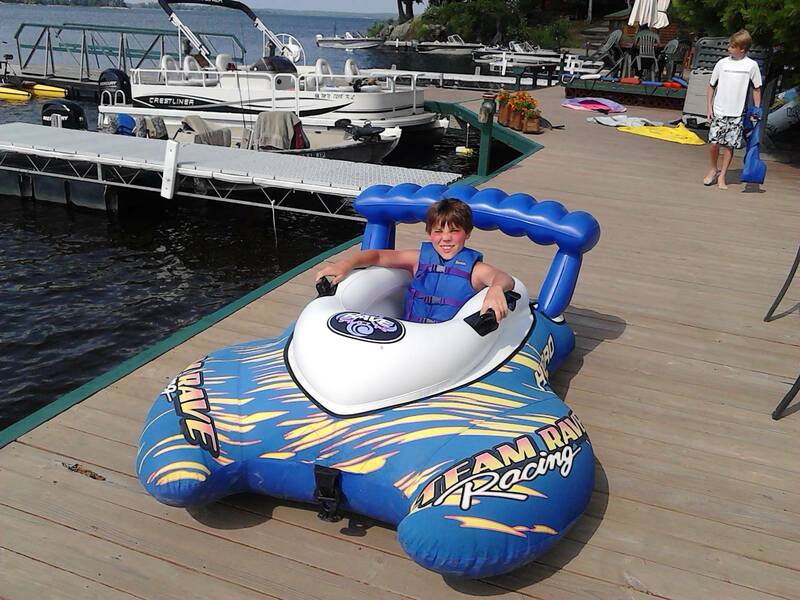 Pat and Tom took Jay and his friend Trent out one afternoon in this big two seater riding / flying toy. The pictures are of them before the ride and during. The precious dog with them is their dog Chloe who loves to go everywhere they go and is as sweet as can be. She’s part lab and part poodle! I cooked a pork roast and potatoes this week and covered it with herbs cut from our herb garden here – sage, rosemary, thyme and chives. The roast and potatoes soaked up all those flavors beautifully and we really enjoyed it. 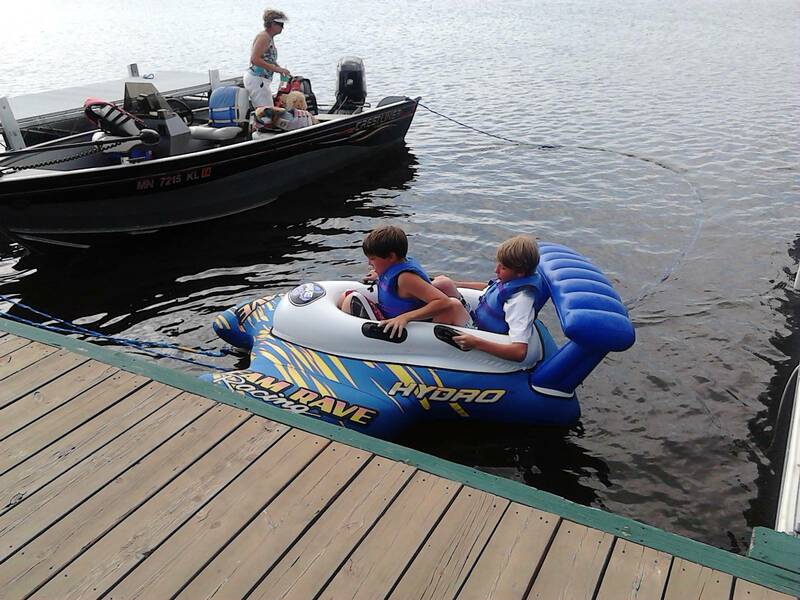 We went out on the lake on the hydro-bikes for two long rides yesterday. Roy fished and caught a bass and I just peddled around the lake. I got caught on a rock I couldn’t see when I was out of sight of everyone and panicked. 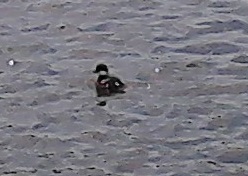 After praying for a bit and trying to wiggle around it I got loose and came straight back to shore. In all it was a really nice day off. We ate a delicious dinner and then I went back out to the beach while Roy fished some more. I swung on the big wooden swing set near the shoreline while eating cut up watermelon and reading a wonderful mystery novel. A wonderful day off! I took pictures but they are in the water soaked phone! Roy received our new satellite dish and will be putting it up when the weather clears up and he has more time of work. 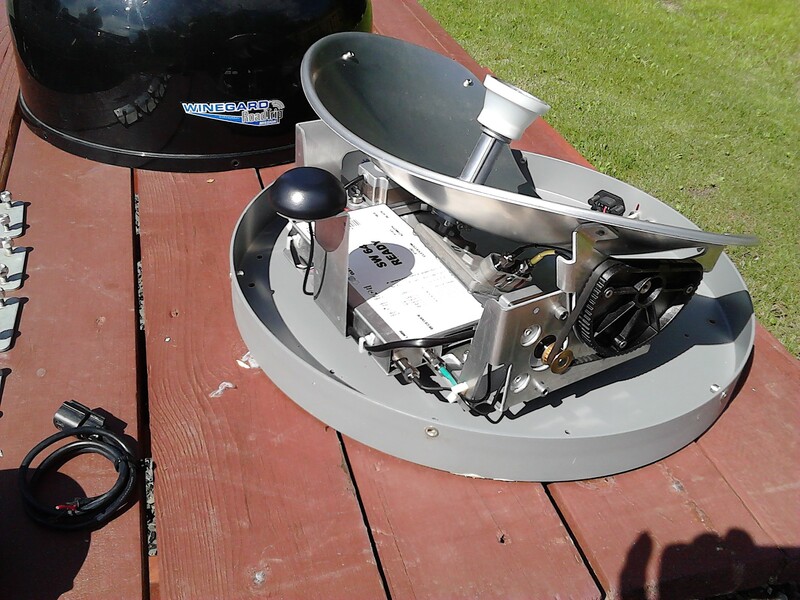 I’ll write more about why we chose to change our satellite dish out in a future post. 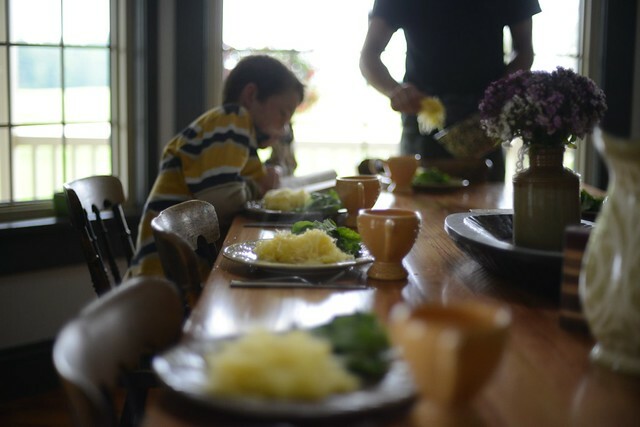 A blogger, whose writing I love, wrote yesterday about why children don’t need SuperMamas. I wish I had read this when I was a mother raising young children and in case it may help some young mother reading my blog I will re-blog it tomorrow. 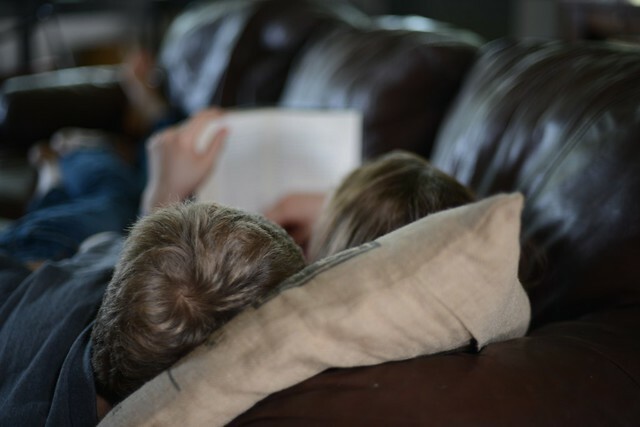 It is not the typical “don’t be a supermama, spend more quality time with your kids” so I hope you will read it and take from it what you will. That was just a little while ago and we just went from beautiful clear skies to expecting 60 mph winds and hail within the next hours so we’re doing the Minnesota version of hunkering down and getting ready to ride it out. We’re so far north that a lot of bad weather seems to just go south of us so I’m hoping this one will do the same. Have a great evening, and ya’ll come back now, ya’ hear! When one of the boys pulls off his Sunday shoes, the filthy ones ridiculously still clinging to “Sunday Shoes” status, he catches my eye and grins like he’s swallowed a canary. What are you going to do but laugh with the grinning kid? I have been the mama who’s punished when I needed to pray. Who’s hollered at kids when I needed to help kids. Who’s lunged forward — when I should have leaned on Jesus. 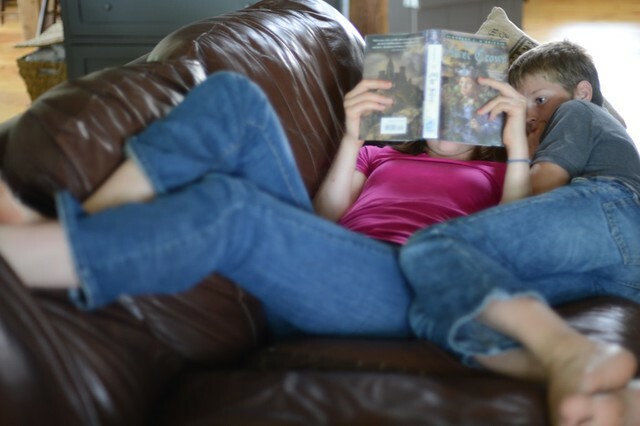 There are dishes stacked on the counter like memories and paint smeared on the table and there are kids sprawled on the couch trying to read the same book at the same time — and there is only so much time. So you clear off the table and the dishes and the leftover spinach leaves and wash the paint fingerprint off the mess of chairs, and you pick up the socks and shoes strewn through the house like crusty droppings in the park. And then you swing from the monkey bars in the almost dark with the kids almost grown and you pray that your post-half-a-dozen-babies bladder doesn’t give way leaky on you now, and you laugh so loud you hope they always remember. There is hospitality — making space inside of you to be a safe place for a child. And no matter how the craziness of this whole parenting thing all turns out: The reward of loving is in the loving; loving is itself the great outcome of loving. The success of loving is in how we change because we kept on loving – regardless of any thing else changing. 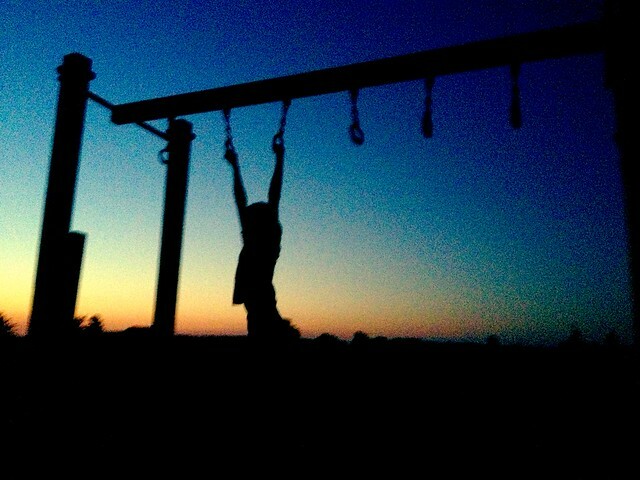 And it’s a relief, how hanging upside down on the monkey bars, things can come to you. That maybe being the mama I want to be isn’t so much about being more, but trusting more – trusting more in the God of Hagar and Ruth and Hannah, the God who sees the angst, who nourishes the empty places, who hears the unspoken cries — and answers. That godly parenting isn’t ultimately about rules — but having a relationship with an ultimate God and His children. 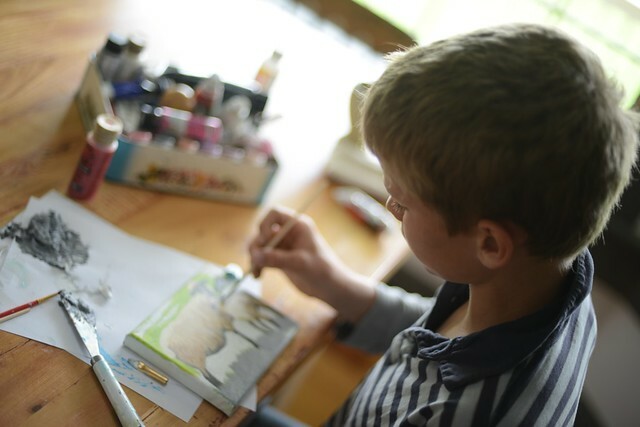 That godly parenting isn’t fueled by my efforts — but by God’s grace. That if I make God first and am most satisfied in His love — then I’m released to love my children fully and satisfactorily. My kids don’t need to see a Super Mama. They need to see a Mama who needs a Super God. 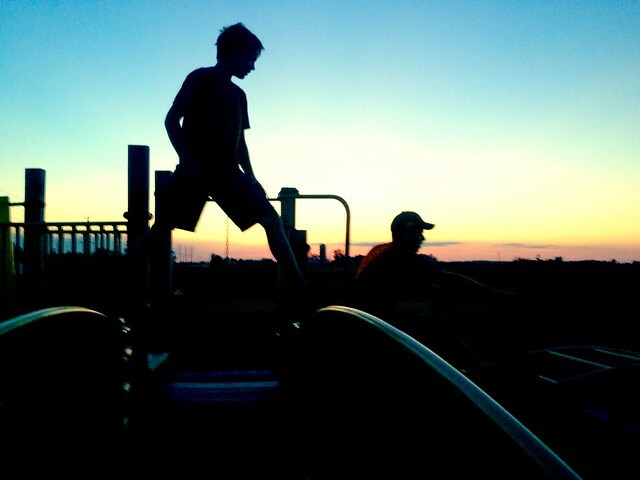 Right to the last of the light, into the last of the light, there’s this silhouette of a mother running free and barefoot with the kids, no socks at all. This grace on ground like this. 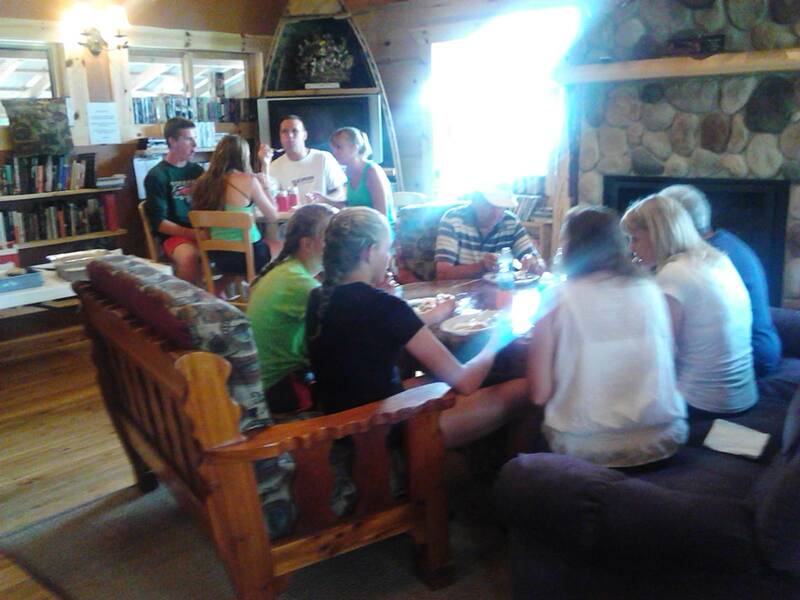 The Northern Lights Resort owners, Pat and Tom, decided to throw a Thanksgiving in July dinner for this week’s guests and Monday was the event! All the guests were notified through email before their arrival about it and asked to bring a side dish. Most all of them know each other already from living close to each other and coming here every year the same week for 10+ years. One of the teenager girls told me she is 16 and has been coming here since she was 1. There were two new couples but they made friends with the others and fit right in immediately. Our guys fried 6 turkeys and the ping pong table served as the serving table with an extra table for desserts. 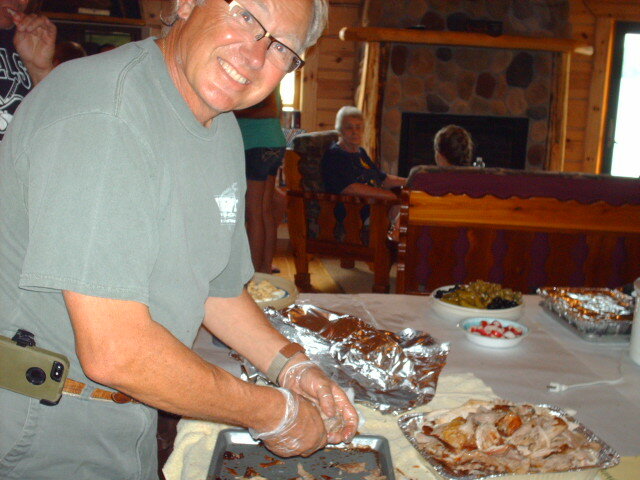 The dinner started at 5 pm and between 4:30 and 5:00 the Lodge started smelling so good with Tom carving the turkeys and the guests bringing their hot dishes in. 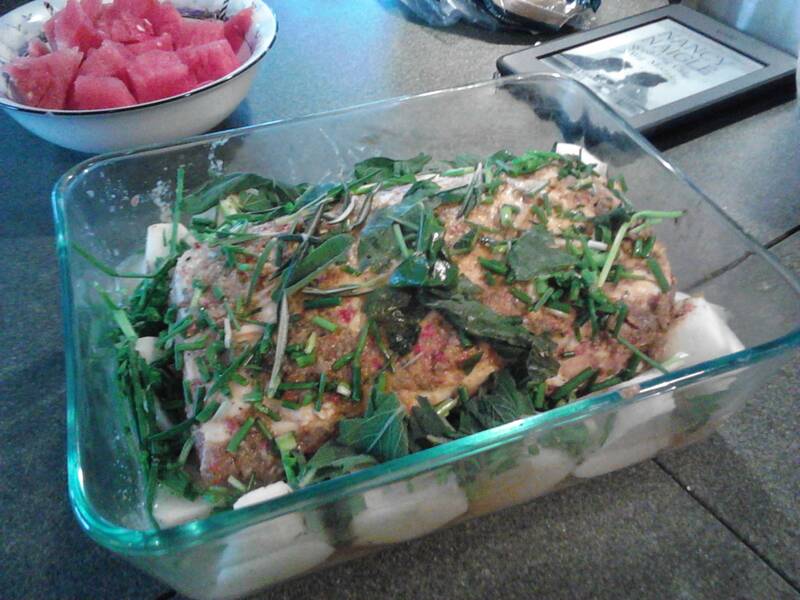 I fixed a spinach/artichoke casserole which is something I always make for our family Thanksgiving dinners. We also had mashed potatoes, gravy, green bean casseroles, corn casseroles, dressing (with herbs from our garden), sweet potatoes, potato casserole, deviled eggs, salads one of which had fresh blueberries, cashews, diced apples, cheese and spinach leaves, and a wide variety of desserts including real pumpkin (no canned stuff), lemon squares, german chocolate cake, upside down pumpkin cake and watermelon. 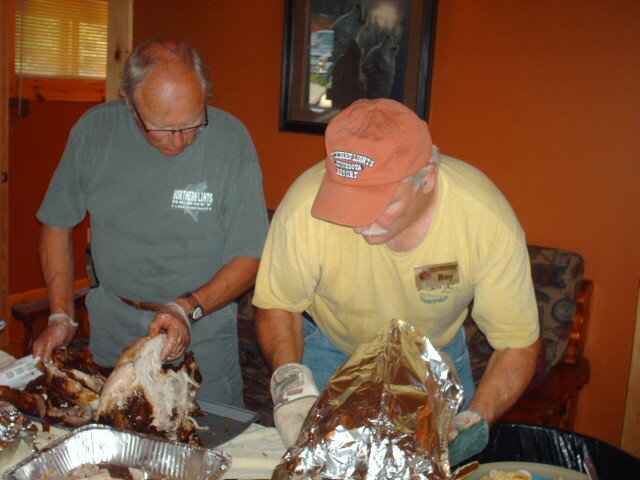 We have a good bit of turkey meat left over and when we all recover tomorrow we will divide it up. Roy and I love turkey salad so I know what ours will become. I left work this morning for an hour to attend a Vacation Bible School planning meeting at the church we’ve been attending. I’m going to be helping with crafts next week at VBS and learned a lot at the meeting. The church is very small but they plan to have around 20 children at VBS and it should be a wonderful time being with the children while they learn about God’s love! I’ll write more about that next week. Roy ordered a new satellite dish and we’re hoping it’ll be here soon so he can install it on his days off. We’ll see how that goes!